A concert in memory of Peter Föste. Tickets can be purchased via kmlh@internationalmahlerorchestra.com, at the Literaturhaus Café or at the box office on the day of the concert. The International Mahler Orchestra would like to thank Mr. Zvi Meitar and the Meitar Family Fund for their loyal and generous support throughout the years, without which the IMO would have never become what it is now. This website was made possible by their generosity. 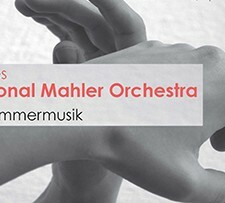 The International Mahler Orchestra on Facebook and Twitter.